Hailee Steinfeld (born December 11, 1996) is an American actress, model and singer. 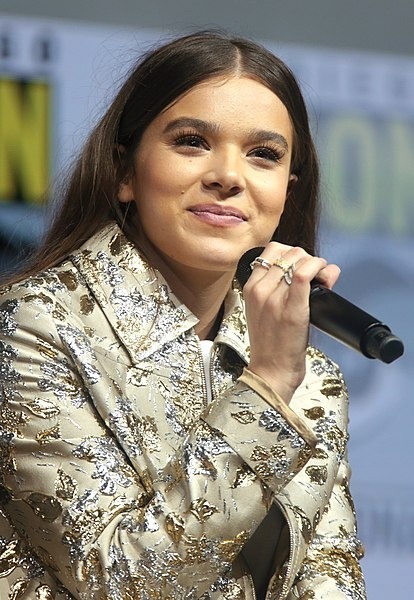 She first became known for her portrayal of Mattie Ross in True Grit (2010), for which she was nominated for the Academy Award for Best Supporting Actress, the Screen Actors Guild Award for Outstanding Performance by a Female Actor in a Supporting Role, and the BAFTA Award for Best Actress in a Leading Role. Thereafter, she appeared as Petra Arkanian in Ender's Game (2013), Juliet Capulet in Romeo & Juliet (2013), Violet Mulligan in Begin Again (2013), Zooey Renner in 3 Days to Kill (2014), and Nadine Franklin in The Edge of Seventeen (2016), for which she received a Golden Globe Award nomination. Read more on Wikipedia.